Here we go the new Spring’19 features coming up..Sharing in this post which gone through and liked…. Everyone can now search for and see documentation results from within the Help Menu. The Help Menu is a one-stop shop for learning journeys, getting-started tips, contextual help topics—and now resources you’ve created for your org’s users. From setup in Lightning Experience, enter Help Menu in the Quick Find box, then select Help Menu. Title your custom help section, and then add up to 15 resources. Turn on Customize the Help Menu so users see the resources. After adding custom help, you can hide Getting Started, Help for This Page, and selected items under More Resources. The links to keyboard shortcuts and feedback to Salesforce are always displayed. As an admin, you always see all resources. 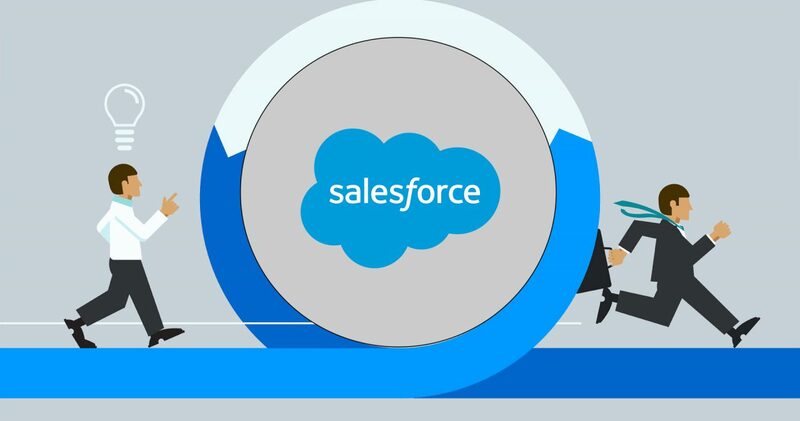 Turn off Show Salesforce Help Content to Users on the Help Menu setup page. On a record home page, click Printable View. The sections and fields on the printable view reflect the current user’s page layout. The related lists reflect the current user’s related list preferences. The printable view opens with the record details expanded or collapsed, based on visibility on the record home page. You can change visibility for all record details or for individual detail sections. Related lists are visible in printable view, and you can’t modify their visibility for printing. Chatter users can now give thanks from a user’s profile, a record, or a group in Lightning Experience. Giving thanks is as easy as it is in Salesforce Classic. Click the Thanks tab from a Chatter feed, and then enter the badge details. To Enable :- From Setup, enter Work.com in the Quick Find box, and then select Work.com Settings. Direct your users to the best next step with the Einstein Next Best Action component. Available on Lightning record pages, this component uses strategies that apply your org’s business rules to display context-sensitive offers and actions, like an upgrade, a discount, or a service. You define the conditions and rules that determine which recommendations to display to your users. This component is available as part of Einstein Next Best Action. If truncated data and unused white space in columns aren’t your favorite things,wave goodbye to them. You can now adjust report column widths in Lightning Experience report builder and the run page. Lightning tables now support two groups.Previously, you could have only one.For example, this dashboard shows opportunities grouped by stage and type. In Setup, select Territories or Territories and Subordinates when you create a sharing rule in Sharing Settings. Then specify territories. Only territories in your active territory model are available. In Setup, select Territories or Territories and Subordinates when you create or edit a group or queue. Closing tasks isn’t a burdensome task anymore. Instead of scrolling through the Status dropdown list, sales reps can mark tasks complete with one click. Click to mark a task complete in the activity timeline or the task detail view. Quickly reserve time on your calendar to complete a task, or create an event to follow upon an existing task, with a click of a button. Now reps don’t have to enter data twice because the key information is copied from the original task. Click Create Follow-Up Event to create a follow-up event.